These are some of the ethnic series sketches that I, Gloria Poole, created when I lived in Colorado at zip code 80203 from May 2007-Oct 2009. These are copyrighted photos of actual, tangible sketches that I own and have posession of. I labeled them beneath each sketch. I drew, painted, signed, photographed and uploaded all of these myself and in fact, all art on this blog and I own the copyright. I, Gloria Poole, live in Missouri since Oct 2009. 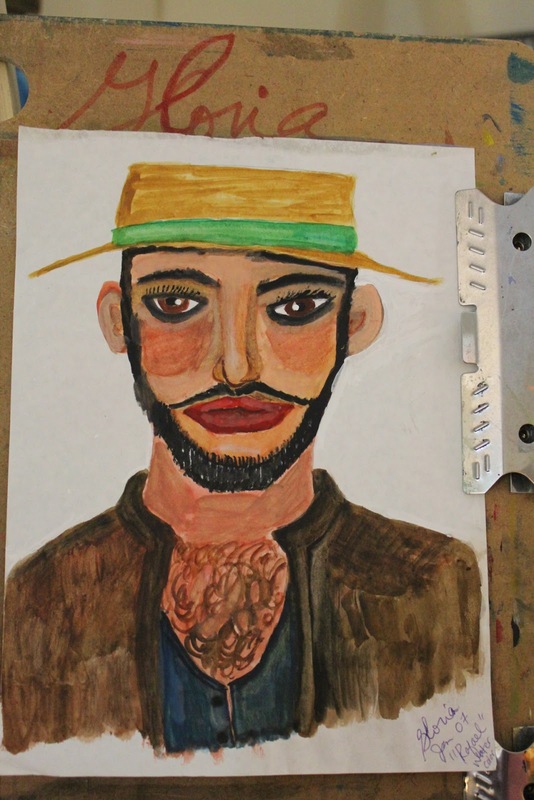 This sketch above is supposed to be Puerto-Rican named "Rafael" but it is NOT a real man. 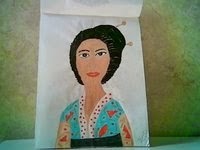 I drew this from a thumb nail photo I saw in a dictionary I think. I draw often by holding a photo and looking at is as I draw. 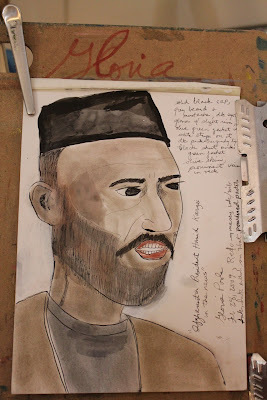 I named this "British Man in India". 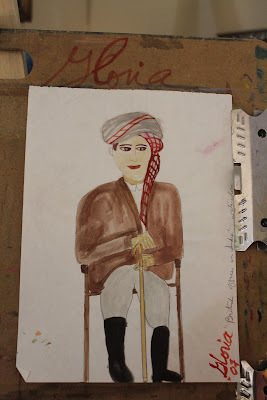 I created this sketch by trying to imitate a famous painting but if you compare the famous painting with this sketch you will see that I altered my version so it is not exact replica. I drew it by looking at a photo of famous painting in an art book. 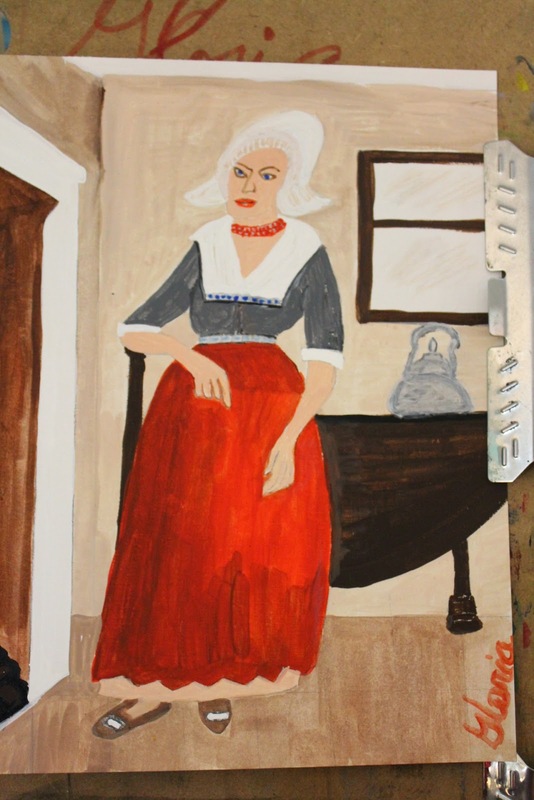 I named it "Dutch lady". 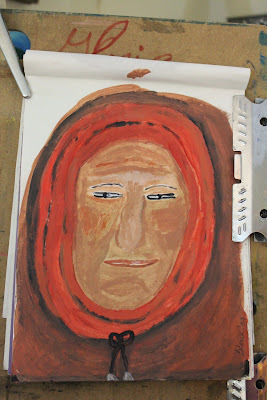 I drew this and named it Russian woman wearing what I think is called a babushka. 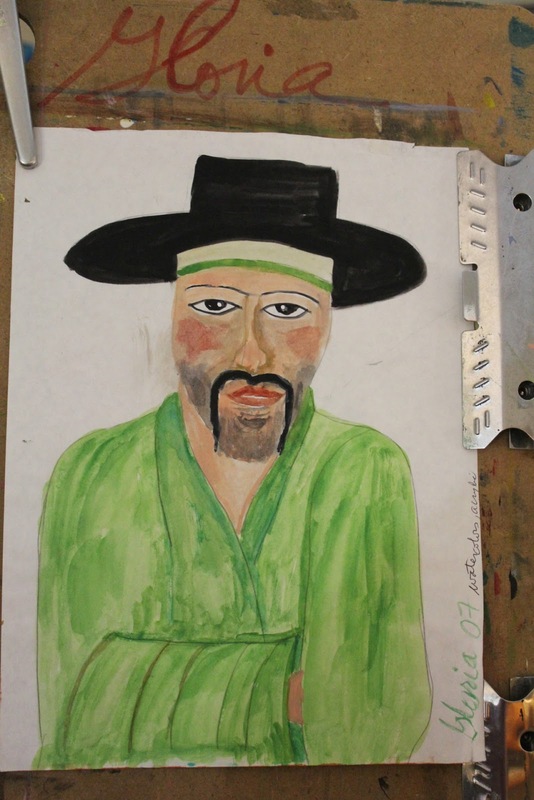 I drew this of a Chinese man with one of the same techniques already told about. But remember that if the photo I am drawing from is a real, living person,who is a PRIVATE not public persona such as an elected official or Monarch then I alter the face so it looks different so private people would not suddenly find themselves on my blog!]. 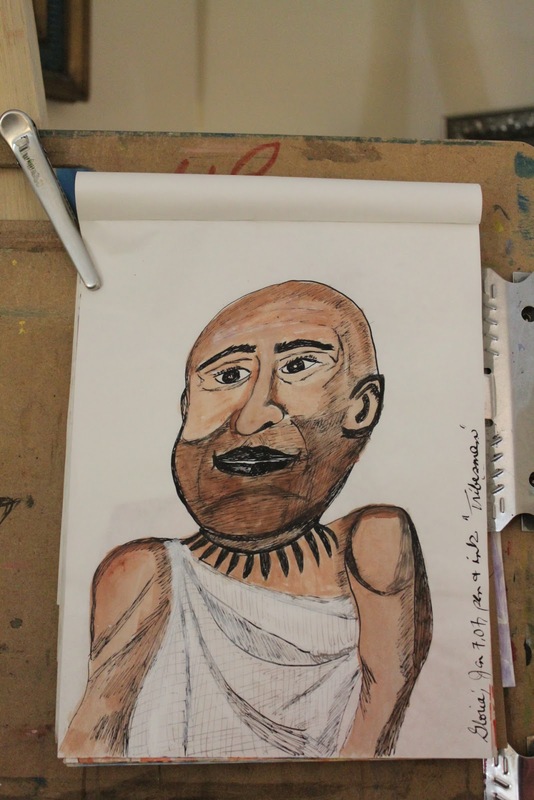 I created this sketch and named it "tribesman". I make an effort to replicate natural costumes and I look for authentic sources [news, magazines, photos, etc] to do that. 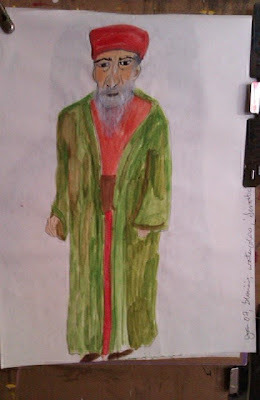 In about 3 cases the so-called costume was nakedness so I put clothes on them or only drew from neck ,shoulders up. 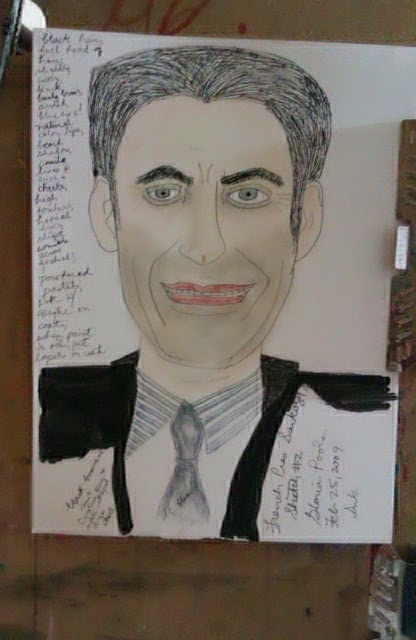 .This sketch above is my attempt to draw the then French Pres Sarkozy and I made notes as I drew the basics so I could remember how to paint it later. I saw him in the news and drew it while sitting at my computer looking at his photo in the news. This sketch above is my effort to draw a Scandinavian lady and I admit it is not a very good sketch. They seem to be much more whitish-blonde than this sketch [ I have not seen very many in news that I could say definitely 'oh that is a Scandinavian' ]. This sketch is my rendition of a Jewish man who was called "Semitic" in the source I was looking at. I drew this Indian from a missionary magazine. 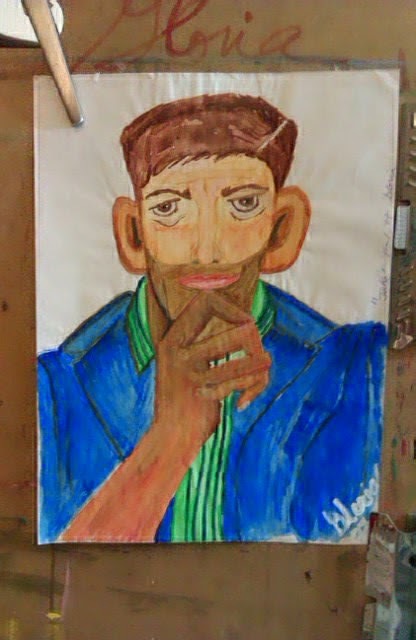 I hesititated to draw and paint this because of the pipe, because I do not promote tobacco use in any way. 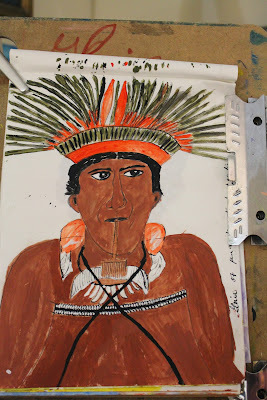 I realized it was part of the authentic native appearance and so decided to include it. I met a few native Indians when I lived in Colorado and they did all seem to smoke [and drink alcohol and they said it's a big problem on their reservations]. 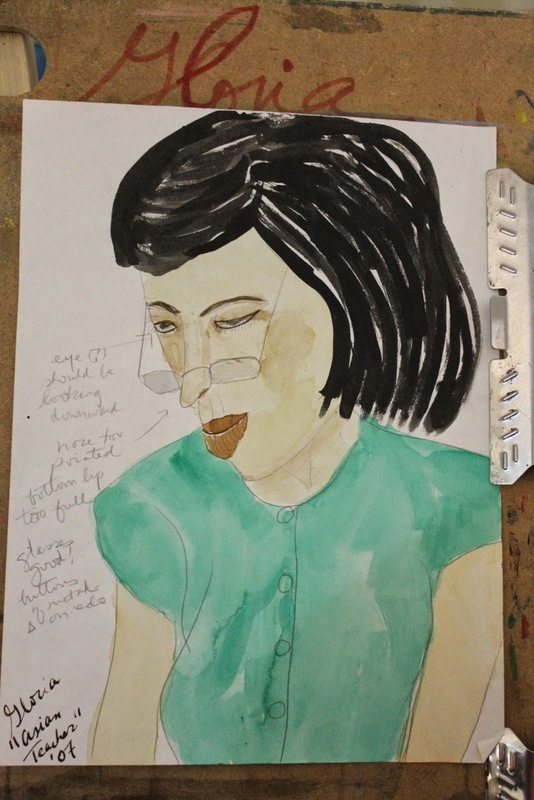 I drew this sketch from an authentic source but I drew it because of the hairstyle and because her skin tone was different but I do not know the origin of it. 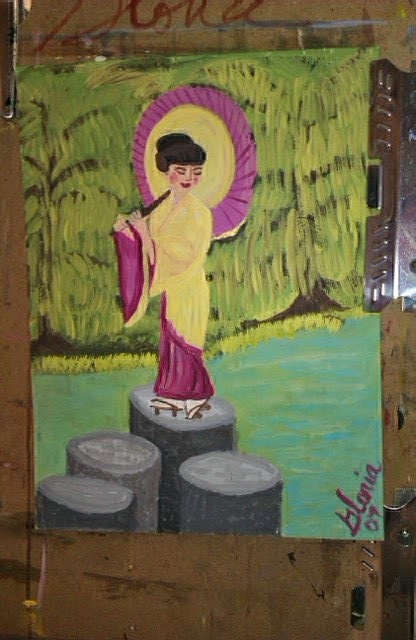 i drew and painted this Japanese lady in a kimona most likely from a missionary magazine. I drew and painted this sketch because I liked the yellow turban . Of all ethnic groups and tribes I think I have created the most from Africa because their clothing is very different and very colorful. And also because Africa is the second biggest continent on earth and has many tribes and ethnic groups . 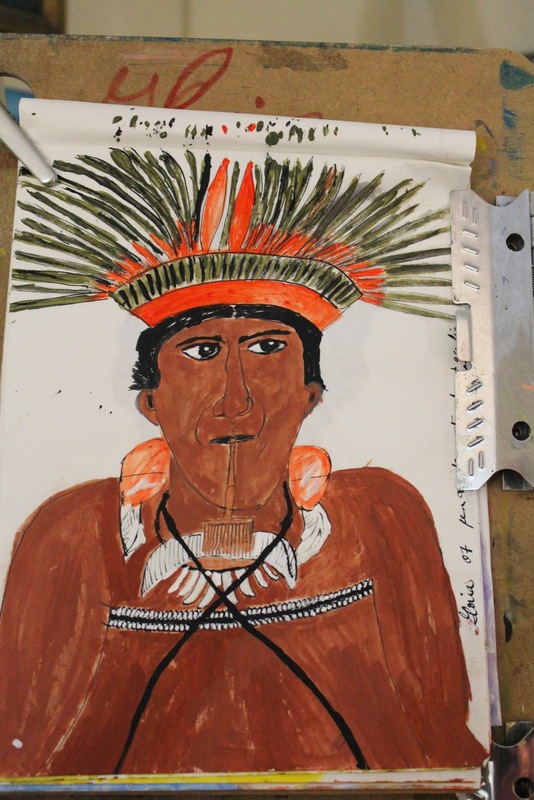 I had the goal of painting a sketch or oil painting of every culture/tribe/ethnic group on earth but there are hundreds of them. 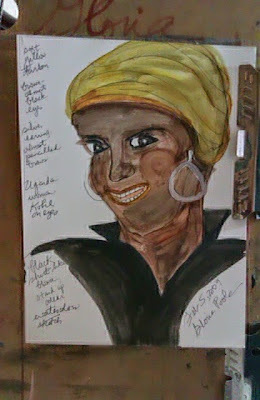 I have created hundreds of sketches and you can see some of them in my Picasa albums named ethnic series. I drew this and painted it from a travel scene if I remember correctly. 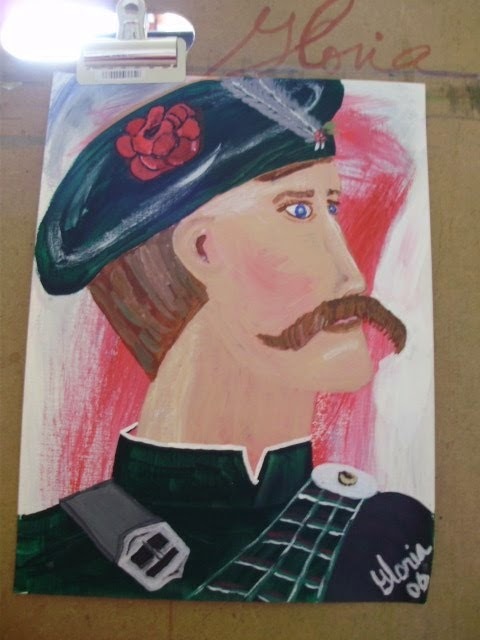 This is the preliminary sketch I drew and painted for the oil painting I later painted and named "Jake, the Irish man'. I drew and painted this sketch for Oktoberfest in Germany. I was born in the state of Georgia and in the North Georgia mountains we also have Octoberfest and the people wear costumes similar so I was familiar with this costume. This is my signature that I painted on this paper palette as a personal logo to add to my blogs that I post art I create too. I am adding some of the art I created when I lived in Colorado as a batch because I have continued the blog I began in my former married name at https:/gloriapoolepappas.blogspot.com; and though I removed the Pappas name from my name by court order at time of final divorce decree from male DBP in Oct 2007, the art I created in Colorado is still mine AND I still own the copyrights to any and all art I created anywhere unless I signed a bill of sale that was notarized, or in some official way transferred the copyright. 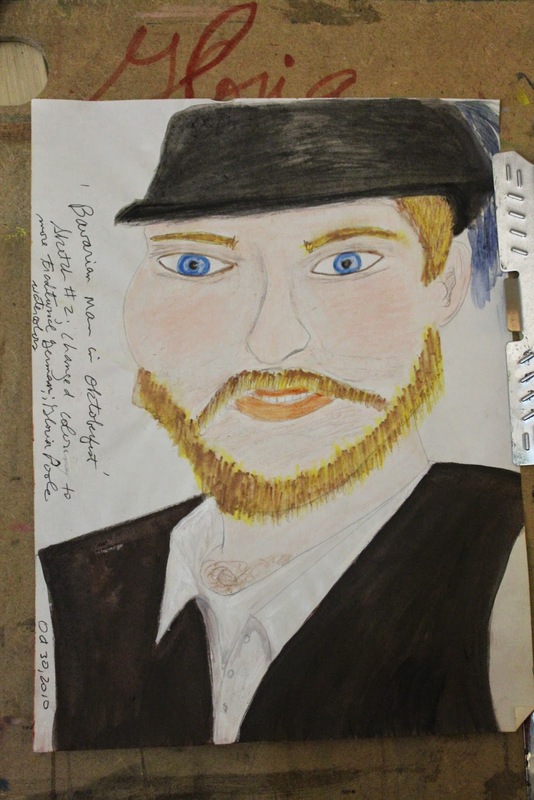 I have only given the copyright of art I created to somebody else twice before and it was for art to be exhibited in museums in state of Georgia. I have never signed away my copyrights en masse to anyone and neither my 2nd exhusband DBP nor his lawyer was ever authorized as having power of attorney over me or my life or my art. Read following for more info. 6 Nov 2014: Copyright notice: this blog and all content on it is created by me and owned by me Gloria Poole residing in Missouri but born in the state of Georgia, and it is covered by U S copyright law. I, Gloria Poole, own all rights to this blog and to all content on it, all words, all photos, and all art represented by photos that I photographed. I have the actual, tangible art I created and photographed. This blog and or its individual posts may not be transferred to anyone anywhere,nor have domains forwarded to it that do not belong to me, nor be saved to disk, nor downloaded, nor printed at remote, nor copied, nor photo-copied [screen-captured] , nor in any way with any method be reproduced. 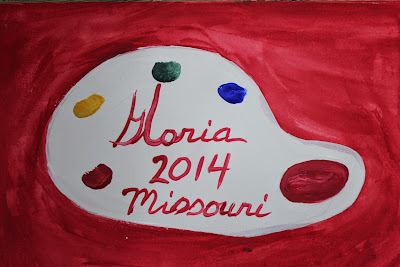 I, Gloria Poole, own all rights to all words, art and photos I create with any method of technique or medium on any surface anywhere any location any reason or no reason, whether or not I photograph it on any camera, phone, etc, and whether or not I publicly display it anywhere. 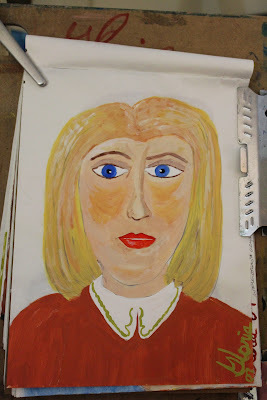 I have never signed a blanket waiver of my copyrights to art I have created and do not have an artist's rep [agent], nor literary agent to represent me, and never did. I drew, painted, signed, photographed and uploaded all art on this blog and on any blog of mine. Copyright. 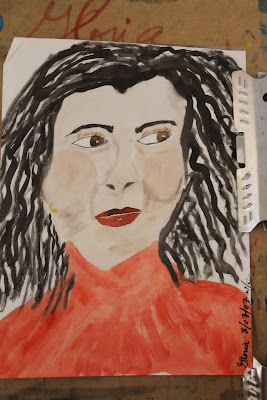 Gloria Poole also known as Gloria on art I create and sign and in real life since it is my real, born with first name; and as Gloria Poole, RN, artist and on the web as : gloriapoole; gloria-poole; gloria.poole; artist-gloriapoole; @gloriapoole; @gloria_poole; gloria0817; gpoole817; Ms. Gloria Poole; Poole.Gloria; gloriapoole-paintings; cartooning-by-gloriapoole; photo-by-gloriapoole; gloriapoole.RN; gloriapooleRN at yahoo in which the RN is standard abbreviation for Registered Nurse,and other variations of my real, born with and legal name of Gloria Poole, at my own, private apt in Missouri which is not shared with anyone, on 6 Nov 2014 at 12:59pm.